Rosemary Jeanes Antze began studying privately with Desikachar in 1974 when she first spent a year in India learning Odissi dance. She returned to Madras (now Chennai) in 1980-81 to conduct research on the teacher-student relationship in Indian culture and dance, and continued learning with Desikachar, while also attending his teachers’ seminars. Since then she has traveled regularly to study with him in North America and in India. From 1988 to 1995 she also studied, deepening her knowledge and commitment to teaching, with Mary Louise Skelton, student of T. Krishnamacharya and TKV Desikachar, and founder of Upstate Yoga in Syracuse, New York. Rosemary holds degrees from the University of Toronto and from York University (B.A., B.Ed., M.F.A. 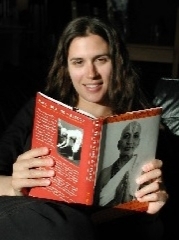 ), where she studied anthropology, Sanskrit and Indian thought, dance and education. Her thesis, “Tradition and Learning in Odissi Dance of India: guru-sisya-parampara,” examined the changing teacher-student relationship in Indian culture as dance moved from temple to stage. Yoga has sustained her through various stages in life, including a decade of professional dancing and acting, the first half with the National Ballet of Canada and the second touring internationally, in Andrei Serban’s Trilogy of Greek Tragedy, with La Mama ETC of New York City. For 20 years she taught dance theory and practice at York University, the University of Waterloo and Ryerson University. She is also the mother of two daughters. In 1976, at Desikachar’s urging, Rosemary began teaching yoga to individuals and in classes. Since 1995 she has focused on a community based practice, teaching young people at the University of Toronto, and mentoring teachers. Respecting the individual is at the heart of her teaching, both in individual lessons and small group classes. She also leads a Yoga Sutra study group, workshops in Sanskrit and Vedic Chant, and retreats for both teachers and student practitioners. In 2006 she led a group of Canadian yoga teachers and practitioners to Chennai, India for a special two week intensive study with TKV Desikachar, her mentor. 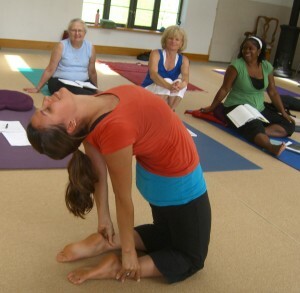 Her yoga teacher training and development program was established in 2002. As Desikachar’s senior Canadian teacher, Rosemary is recognized as a Teacher Trainer by Desikachar. She is a “formateur de yoga” affiliated with the Centre de Transmission de Yoga, Quebec and is recognized as an International Teacher by the Yoga Association of Alberta. 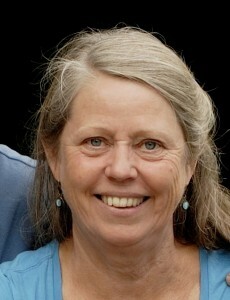 She is a member of the International Association of Yoga Therapists. Rosemary is invited to teach across Canada. Rachel Smith started practicing yoga in 1998 after the birth of her first child. At the time she was living in Israel and studying with Efrat Izenberg in the tradition of Orit Ben-Gupta. Returning to Canada in 2000 she met Rosemary Jeanes Antze whose approach to yoga sparked a deep interest. Rachel loved the link to tradition and the down-to-earth approach of these profound yoga teachings. The teacher and student developed gradually and guided her through a four year teacher training program. She began teaching in 2003. Rachel has found yoga practice helpful in conditioning the body, especially after the birth of her third child, but equally beneficial for calming and focusing the mind. She continues to explore the links between body, breath and mind which bring energizing, clarifying or relaxing effects depending on the needs of the moment. Her ongoing studies include asana (postures) both classical and adapted, pranayama (breathing), philosophy of the Yogasutra, meditation and chanting. In daily life with her family Rachel sees the fruits of her yoga practice. Her way of teaching respects each student’s individual needs. With tools received from her teacher, she aims to reach people of all ages in her community. Tiffany Garfinkel credits her mother for her early introduction to yoga. She began practising as an adult in 1998 while attending Trent University. Upon finishing her undergraduate degree she moved to Toronto to pursue yoga teacher training at Yogaspace, studying with Ante Pavlovic who introduced her to Rosemary Jeanes Antze. Finding Rosemary enabled her to deepen her studies in yoga and led to two separate trips to India, to pursue research and to further her studies. These experiences in India played a formative role in Tiffany’s current work and teaching methods. She continues her journey in yoga with Rosemary as her mentor. Currently Tiffany teaches community based group classes and yoga to individual clients. For the past five years she has been conducting research and developing a programme investigating the value of yoga for depression and bi-polar disorders with the Centre for Addiction and Mental Health (CAMH). Steven Henderson began his yoga journey in the mid 90’s while studying Art and Design at OCAD, committing to regular practice in 2008. After reading Desikachar’s book, “The Heart of Yoga,” he began studying with Rosemary Jeanes Antze in 2010. Inspired by Rosemary’s teachings and the lineage of Krishnamacharya-Desikachar, Steven pursued the 500 hour Teacher Development Program. In June 2013 he completed this training and began teaching with Rosemary. Currently Steven is a visual artist pursuing various commissioned work designing and building finely crafted objects, furniture and sculptural work in wood and metal. He is also part time studio assistant to artist Gordon Peteran. With a deep interest in gentle, breath-focused asana practice, Steven brings a creative approach to practice and teaching. Judy Knight, Luanne Schlueter, Allyson Collymore, Rosemary Sutherland, Christine Rustecki, Antonia Berlingieri, Steven Henderson: Toronto.